It is time once again for a round up of homesteading related links from around the internet. First up is a podcast on “Efficient Vegetable And Protein Production On Small Homesteads.” Your challenge, should you choose to accept it, is to listen to the podcast and then NOT go out and plant more vegetables or place an order for baby chicks. Goats can graze marginal pastures. Next is an article about adding “Ice Cream And Personality” to your homestead with Dairy Goats. The article was a great read written by someone who truly cares for goats. 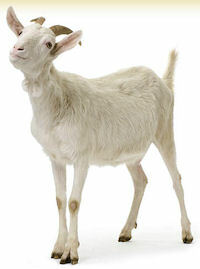 As long as we are on the topic of goats, give a listen to this podcast about using “Goats To Clear Brush and Weeds.” The podcast covers using goats in a service business that clears property and produces meat as a by product. The rancher discusses the best fence to use, important considerations for electric fence such as what voltage is needed and how to train goats to respect the fence. To close, a post about getting the most out of a square foot garden. The author uses secession planting (more than one crop in the same growing season) and a garden trellis to maximise the production from one square foot garden bed. Be sure to read the post for a square foot gardening contest announcement.